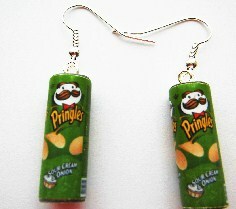 Rare bespoke kitsch sour cream and onion pringlers can earrings. * Sterling silver option is also available. Free gift bag included with this purchase.